There are some big benefits to coal. Coal is abundant, so it is cheap. Almost all major countries have a coal reserve. It has tons of energy potential and is relied upon heavily for powering our planet. It also supplies developing countries with both power and jobs, helping to lift them out of poverty. With all of these upsides come equally if not more negative downsides. Coal is burned and produces mass amounts of CO2 in our atmosphere, the leading cause of global warming (despite what Scott Pruitt says). Thousands upon thousands of people around the world also die each year in coal mines, especially in poor developing countries or in countries with little regulations (China). Oil is the what makes transportation around the world work. Our entire global commerce depends on it. Oil is relatively cheap and extremely useful and versatile. It can be stored in a liquid form and pumped into gas tanks, along with packing lots of energy. Unfortunately, oil also has its downsides. Considering our entire global economy relies so heavily on it, an oil crash could spell disaster. It is also devastating environmentally as it often is followed by oil spills and smog along with producing a third of the CO2 emissions. Nuclear energy is the most powerful energy on the planet. It dwarfs coal and natural gases. It also does not produce any greenhouse gases and is relatively cheap to produce. But there are two major problems with nuclear power. Nuclear power plants are extremely expensive to maintain. If not maintained, there will be massive devastation. Although there have been only 3 nuclear meltdowns, only one has resulted in human fatalities. Nuclear waste is a serious issue though and if not handled properly, it can be incredibly dangerous. The second problem is public views on nuclear energy. With the fear that somehow terrorists will someone get a hold of nuclear technology and develop a bomb, the public tends to shy away from nuclear energy. Also with the meltdown of Chernobyl and Fukushima, backlash has caused concern within the public. ​Neuroscientist and engineer Malcolm A. MacIver of Northwestern and evolutionary biologist and paleontologist Lars Schmitz of Claremont McKenna, Scripps and Pitzer colleges recently discovered that fish's move o land was not sparked by the acquisition of limbs but rather the enlargement of their eyes. They studied 59 different species and concluded that eyes tripled in size before their move to land, rather than after. Eyes also shifted from the side of their heads to the top. This makes perfect sense as fish probably began to see easy prey on land. Large eyes only benefit through vision in air and provide no benefit to vision underwater. This transition took upwards of 12 million years. This is amazing on the evolutionary time scale and could be a massive discovery. It was previously assumed that fish acquired limbs in order to hunt food on land. With this recent discovery of eyes potentially being the factory fueling the development of limbs, biology books across the world will have to be changed. Does this discovery drastically affect our daily lives? Probably not. But it will make you appreciate your eyes as they are the only reason we, the human race, exist. Scott Pruitt, chief of the Environmental Protection Agency, has recently stated that he does not believe Carbon Dioxide is the leading reason for climate change. He stated that this issue is highly controversial and that they must consider all of their options when addressing Climate Change. 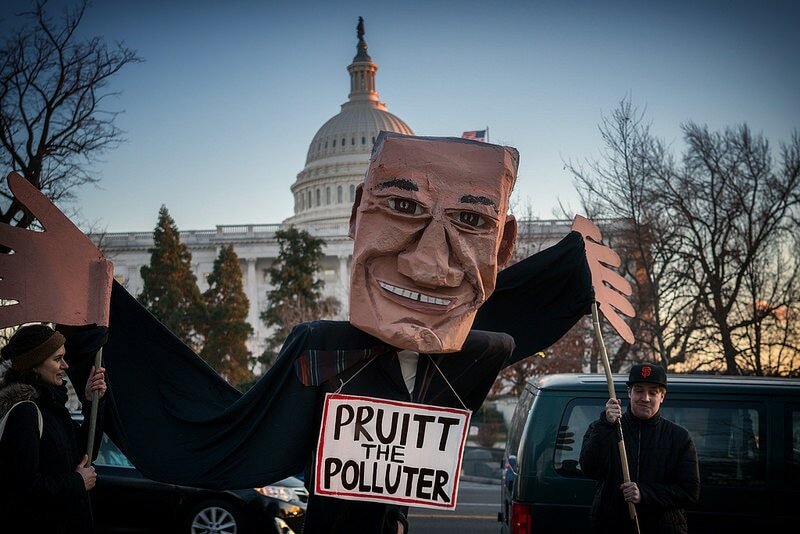 Pruitt is a former attorney general for Oklahoma and was famous for fighting Obama's environmental policies and suing the EPA a grand total of 14 times. Pruitt is also a critic of the Paris Agreement which asks the US to cut greenhouse gas emissions by 25 percent by 2025. He says it sets unfair standards for the US and does not create an even playing field. Pruitt's statements about Carbon Dioxide not being the leading cause of global warming is simply not true. His statement about the issue being controversial is not true either. His statements simply are not true. 98 percent of scientists agree that humans are causing global warming. And the consensus is that carbon dioxide is the leading cause. Yes, other greenhouse gas emission such as methane are on the rise but carbon dioxide is leaps and bounds above any other gas. He says that this issue needs to be further debated. I am sick of it being debated. We need to go out and fix it. It is a problem. Our existence depends on it. We do not have time to continue debating this. It is also mind boggling to me that Scott Pruitt is still pro-greenhouse gas when his own State is falling apart because of extraction of gases. It is both embarrassing and unfortunate that Scott Pruitt is the head of the EPA. A recent study has shown that acorn ants have evolved to hotter city temperatures over the last 100 years. The study consisted of taking ants from both urban and rural areas, acclimating them over a ten week period to both cold and warm weather, and then determining which ants did better in warmer and colder climates. The acorn ants from the urban area fair better in the warm temperatures compared to the rural acorn plants. Although the urban acorn ants survived warm temperatures better, they lost some of their resistance to cooler temperatures. Ants are considered indicator species as they are cold blood and are often influenced by weather changes. With the world set to increase by at least a few degrees Celsius over the next century, fast evolving animals could emerge, while animals that simply acclimate will die off. This study is interesting given the rise in global temperature. I also remember watching a documentary on coyotes which shows how they are adapting extremely well to city life, learning the rail systems and when people are least active. Human expansion and global warming are not set to reduce at our current rate so animals are going to have to evolve quickly or die. Let us hope that humanity will open its eyes to the devastation we are bringing this planet and make changes to help improve our current situation. Scientists at Argonne National Laboratory have create a "sponge" that effectively soaks up oil from water and do so multiple times without having to be disposed of. It can absorb up to 90 times its own weight, and remove oil from both the surface and lower depths. On top of this, the oil absorbed can be reused after it is squeezed out. The sponge is made out of a polyurethane coated with silane molecules. This allows for the oil to bind with the sponge and then squeezed out. The most advantageous aspect of this sponge is that it can be reused as apposed to current methods known as sorbents which can only been used once. This new invention is a smart idea as it gives cleanup teams a better resource to clean up oil spills on both the surface and in the lower depths of the water. A better option would be not spill oil at all but we all know that won't happen. That is the ultimate goal to strive to where we have no oil spills but for now, this new sponge is a positive step forward. Recent studies at the University of Southampton has been developing methods of predicting the effects of extinction of a species in an ecosystem. 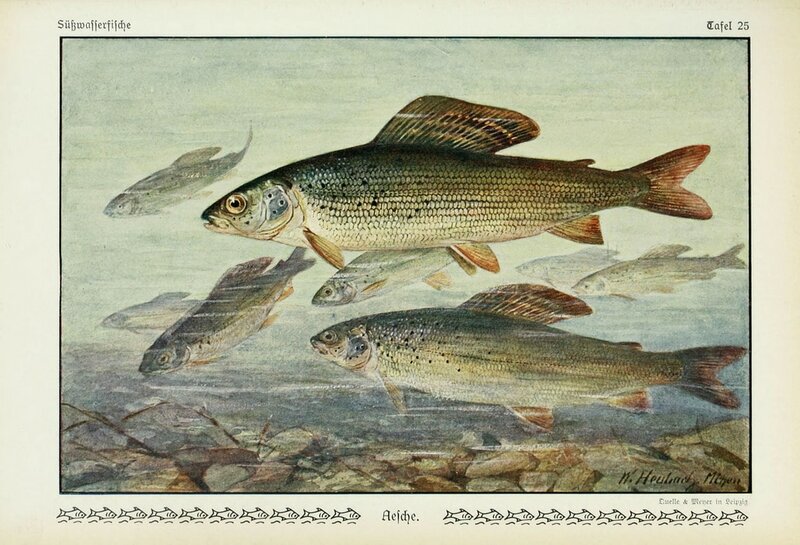 It was believed that once a species goes extinct in a certain ecosystem, so to does its environmental impacts. But recent studies have shown that rather than having no environmental impacts, the loss of a species can result in other species in that given environment to compensate for that loss. Although both theories show that the loss of a species negatively effects its environment, this new method allows us to better understand, prevent and prepare for the extinction of animal species. I found it curious that they conducted this study using marine life. It makes logical sense as marine life, especially invertebrates have a tougher time dealing with the loss of an entire species. I am also curious to find out what factors led to the mathematical equations used to measure the impact of a loss of a species. It is said to have capture the nuances of this process including differing extinction rates, causes and results. All of these problems are most prominent in poverty stricken areas of the world. This is why global warming matter. This is the EPA matters. This is why protecting the environment matters. All people are effected by pollution but not all are effected equally. While those in the US may be fine in the short term (although our infant mortality rates are among the highest for developed countries), those living in undeveloped countries are impacted the most. This is why Trump's attempt at cutting funds from the EPA not only effects the US, but the entire world. The US is directly responsible for much of these 1.7 million deaths. China has recently doubled its output in renewable energy. It has transformed from 34 gigawatts to 74 gigawatts produced each year as a result of this transformation. Shandong, Xinjiang, Henan were the provinces that saw the most capacity increase, while Xinjiang, Gansu, Qinghai and Inner Mongolia had the greatest overall capacity. This is a major step for China as they have been notorious for being the largest carbon emitters on the planet as a result of coal being their main energy source. With China's advancements towards renewable resources and the United States' recent steps back, it will only be so long until we surpass China for carbon emissions. With the election of an eco-terrorist president and a big oil loving head of the EPA, it seems as though the United States will soon be the leaders of Carbon emissions in the world. It is sad to think that China, who is supposedly the bad guy of the environmental world is taking steps toward environmental efficiency while the United States, the leader of the Free World , elected a person who has promised to move away from renewable energy and towards fossil fuels, along with massively cutting funding from the EPA, an agency that not only protects the environment that surrounds us, but also the water we drink and the air we breath. ​President Barack Obama has recently issue 1.65 million acres of protected land in Utah and Nevada. Each protect and ecologically fragile environment. This executive order establishes 1.35 million acres of land in southeastern Utah from oil drilling and mineral development. A commission of 5 Native American tribes will help manage the lands. Obama also set aside 300,000 acres if land for the Gold Butte National Monument at the request of Senator Harry Reid. Some are upset with this executive order because they claim it does not allow for economic development in those areas. President Obama invoked the Antiquities Act a total of 29 times, which allows the president to designate national monuments without the approval of Congress. Many republicans intend to work with the Trump administration to repeal these lands but the president only has the power to grant lands, not take away. This article also proposes the idea of adding 6,200 acres to the California Coastal National Monument and enlarging the Cascade-Siskiyou National Monument on the California-Oregon border. This seems like a great idea to me as it would preserve historic sites and make access easier. Obama has eight days left to accomplish this. It is a shame we are losing such an environmentally friendly and conscious president to a racist bigoted planet killer who only wants to make a quick dollar. A few more hours until the transfer of power is official. With President elect Trump stepping into office, he has appointed Scott Pruitt to be the head of the Environmental Protection Agency. Pruitt is a known climate change denier and has been linked to many fossil fuel companies. At the Senate conformation meeting, Senators put Pruitt on blast for his climate denying ideas, his links to the fossil fuel industry, and his overall lack of understanding regarding the EPA. The only thing he really knows how to do is sue the EPA which he has done fourteen different times. He has an ongoing lawsuit against them right now and if he is appointed, he has the power to let himself off the hook. With regards to multiple Acts Obama installed requiring the fossil fuel industry to cut carbon emissions, Pruitt claims these laws "shouldn't favor any sector of the economy." Rather than favoring the wind and solar aspect of the economy, these acts simply support what is best for the environment. If the fossil fuel industry magically did not emit greenhouse gases and the solar and wind industry did, the Acts would serve against the latter. Scott Pruitt. Out of all of the brilliant minds in our world regarding the the protection of our environment, Donald Trump selects Scott Pruitt. What really infuriates me is that he is a climate change denier. That is like appointing a known criminal to be chief of police. Pruitt has huge ties to the fossil fuel industry, lawsuits against the very agency he is being appointed to run and on top of all of that has little knowledge about the EPA and protecting the environment. By law, the EPA is required to keep America's air and water clean of harmful toxins and pollutants. I see in no way Pruitt abiding to the law.